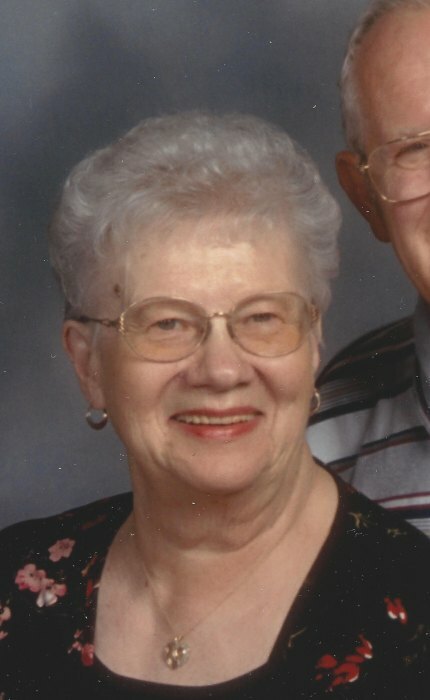 Obituary for Norma Jean (Ort) Mansfield | Schaffer Funeral Home, Inc.
Norma Jean Mansfield, 89, of Defiance, passed away on Friday, April 5, 2019 at Twin Rivers Nursing and Rehabilitation Center, Defiance, OH. She was born on September 11, 1929 to Charles and Lillian (Huffman) Ort in Defiance, Ohio. On July 31, 1949 she married Orwin Mansfield, who preceded her in death on July 24, 2012. Norma Jean was a member of Zion's Lutheran Church, Defiance, and its choir, bell choir, and Mary Martha Cirlcle. She also a member of the American Legion Auxiliary, and was a cook at Slocum Elementary School for 26 years, retiring in 1994. In her free time Norma Jean enjoyed sewing, crocheting, knitting, quilting and embroidery, as well as gardening and canning food. Her favorite activity was anything that involved family being together. Norma is survived by her daughter, Vickie (Dave) Higgins of Defiance, a brother, Paul (Maxine) Ort of Defiance, a sister, Patricia Cooper of Ayersville, OH, a sister-in-law, Nelverta Skiver of Continental, OH, 11 grandchildren, and 13 great-grandchildren. She was preceded in death by her parents, husband, Orwin Mansfield, daughters, Kathleen Ward, and Deborah Babel, a grandson, Jason Ward, sisters, Barbara Baker, and Joanne Ort, and a brother, Dwayne Ort. Visitation will be held Saturday, April 13, 2019, 10:00 am - 11:00 am at Zion's Lutheran Church in Defiance, with services immediately following at 11:00 am, with Pastor Timothy G. Reynolds officiating. Burial will take place in Riverview Memory Gardens. Memorials are suggested to the the wishes of the family.